When you're dealing with quality control issues in your production line, one common area of concern is your welding operation. But what kind of changes do you need to make to improve quality? Are there particular types of welders that can make a difference in your final quality? Absolutely! One common solution is to use a welder with ultra-low spatter features and benefits, but only if it works for your circumstances. Here's a quick look at what situations work well for ultra-low spatter welders. 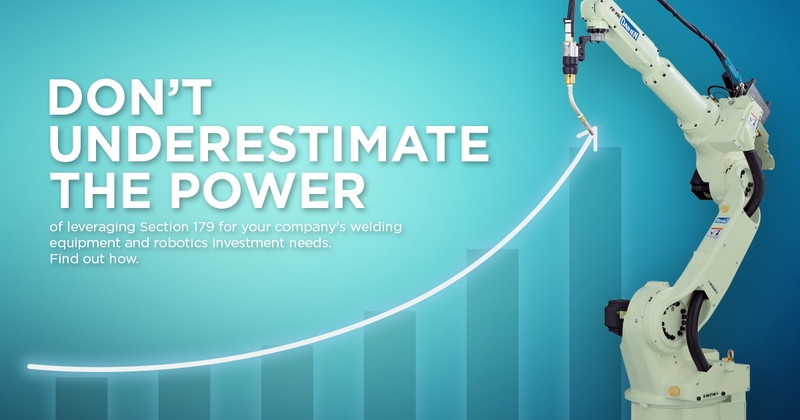 At OTC Daihen, we believe in offering our clients a one-stop shop for all their robotic welding needs. One option that many of our clients are still unaware of is our hands-on robotic training classes in our Tipp City, Ohio location. Can't get to Ohio? Though our clients typically get the best benefit from our well-equipped classroom, we can also bring our certified OTC Daihen technicians to you. Our training program is designed around real world manufacturing processes and can help you be more self-reliant for programming and maintenance issues. Here's a little more about the courses. "Do or do not, there is no try." Yoda was wrong. When you work with OTC Daihen, you can try before you invest in expensive pre-engineered robotic welding cells. We offer a couple options that many of our clients find helpful when they want to change between welding robot systems to ensure they work or to drastically reduce changeover time on their welding production lines. Here's a quick look at how these programs help you make a successful transition quickly. Working in a welding facility can be one of the hardest jobs on the planet. There's high voltage electricity, serious heat and vaporized metal particulates. How do you keep your workers safe? Here are a few tips to help create a healthy work environment in your production facility.